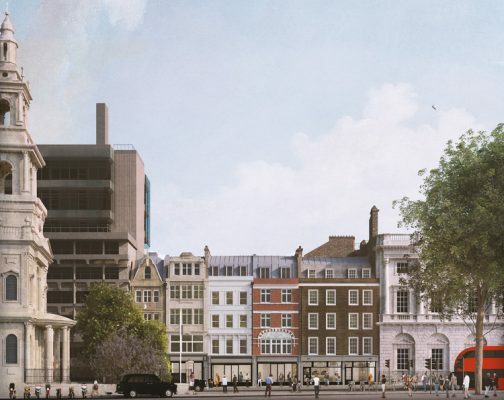 Revised proposals for the King’s College London’s Strand campus have received planning permission from Westminster Council planners. The planning approval comes three years after a controversial version of the scheme was abandoned. 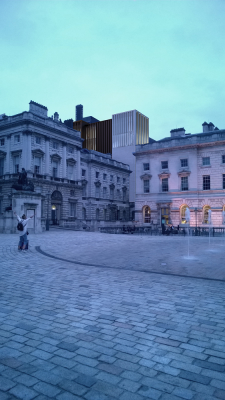 The 2015 scheme involved the demolition of three of the four historic buildings next to Grade I-listed Somerset House to provide the university with a new academic building and an extension to the 1972 Strand Building delivering an extra 3,000sqm of space. Only the façade of Grade II-listed 152-153 The Strand would have been retained. 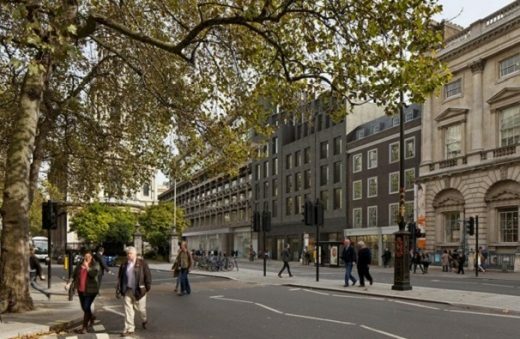 Although Westminster Council approved the earlier plans, the UK communities secretary called in the application due to anger from campaigners. 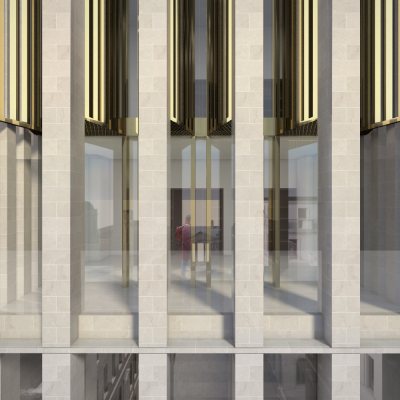 The Client retained architects Hall McKnight to devise a new architectural design. 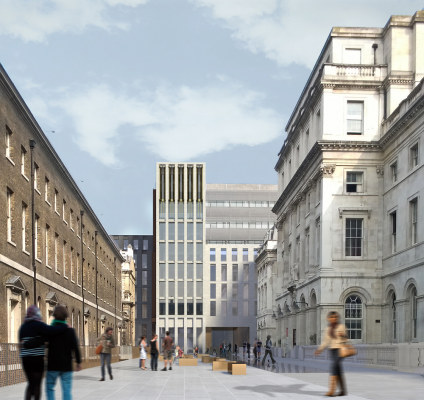 Hall McKnight has won planning permission for a scaled-down version of controversial plans to improve teaching space at Kings College’s Strand campus in London. 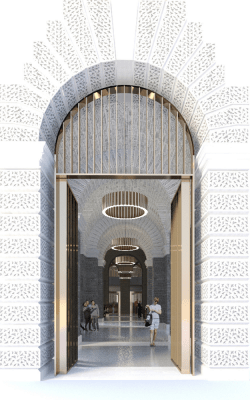 Hall McKnight were commissioned for this project in early 2014 following their success in the international RIBA design contest in 2012. 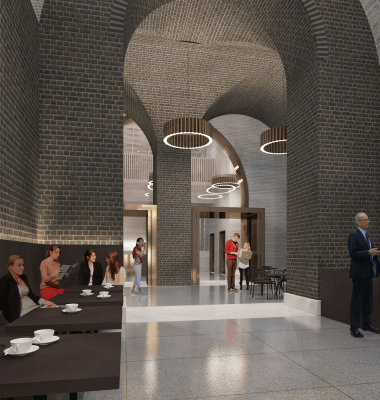 The site is located amongst some of the most significant of London’s Grade 1 listed buildings. King’s hope to expand their accommodation at the Strand Campus to provide high quality teaching and learning space including a new learning commons space. The project involves the construction of a new building on the Strand, alterations and extensions to the Strand Building, including the refurbishment of a large lecture theatre and the construction of a new building within the Quadrangle. 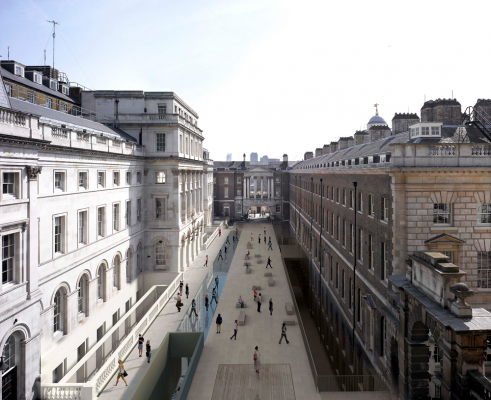 The principles established during the design competition have endured through the development of the project so that the new built elements combine to re–establish the order of the classical plan of Somerset House and create a more connected campus. 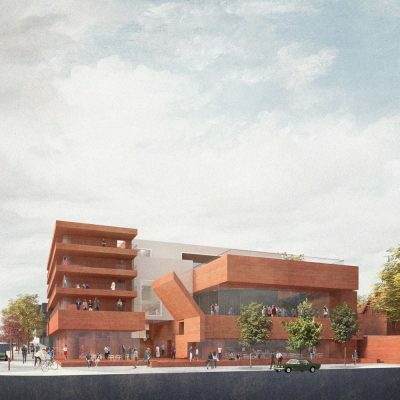 The proposal seeks to engage with the history of the site to produce a project that enhances the setting of the existing listed buildings, whilst establishing a strong, distinct character to the Quadrangle as the focus of the campus. The planning and listed building consent applications were submitted in early December 2014. 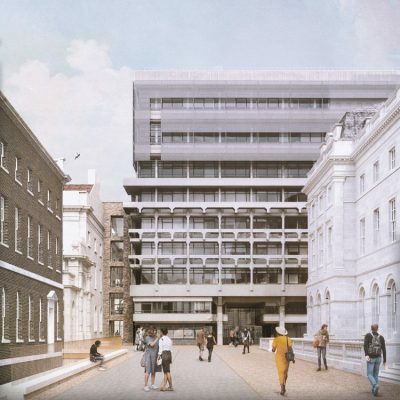 Hall McKnight is an architectural practice established in 2003, with architects offices in Belfast and London. In 2008 this architecture practice won the prestigious UK and Ireland ‘Young Architect of the Year Award’ (as Hackett Hall McKnight). December 11, 2018 in Architects.